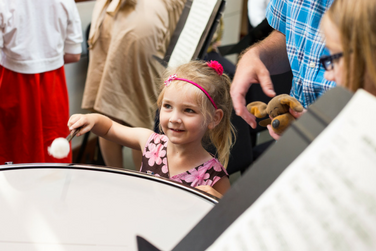 Bring the whole family as members of the National Orchestral Institute perform Prokofiev’s Peter and the Wolf, narrated this year by College Park City Council Member and UMD alumnus P.J. Brennan. Students will also give their own imaginative musical interpretations of beloved children’s books. Join us before the concert for Arts On A Roll Activity, a free crafting session at 2 PM.